Past and present were melded together as Greyscale took their audience in the D.P. Culp Center Auditorium back to the Renaissance age for their most recent concert, “Grey Renaissance,” on Friday and Saturday nights, Nov. 4-5. Greyscale, one of ETSU’s premier vocal ensembles, is directed by Alan Stevens, features nine new members out of 12 this semester. By performing their own versions of songs of the Renaissance, they celebrate the group’s rebirth. Members of the ensemble include: Hannah Lawson, Jessilyn Stanley, Meghan Clark, Adrienne Hutton, Kaitlyn Hopkins, Jordan Williamson, Jared Hale, Chase Partin, Will Ervin, Coleman Lowary, Maison Barnett and Trevor Henley. I first came to love Greyscale’s music when I saw them perform live during an ETSU open house, and even though the group now consists of almost entirely different students, they maintain the incredible flare and personality the ensemble has been known for since its inception. Greyscale later broke into modern day music, performing “Geronimo” by Sheppard, “I See Fire” by Ed Sheeran, “Blackbird” by the Beatles and “Grenade” by Bruno Mars. From there, Greyscale alternated between solo and duet performances and singing as a group. 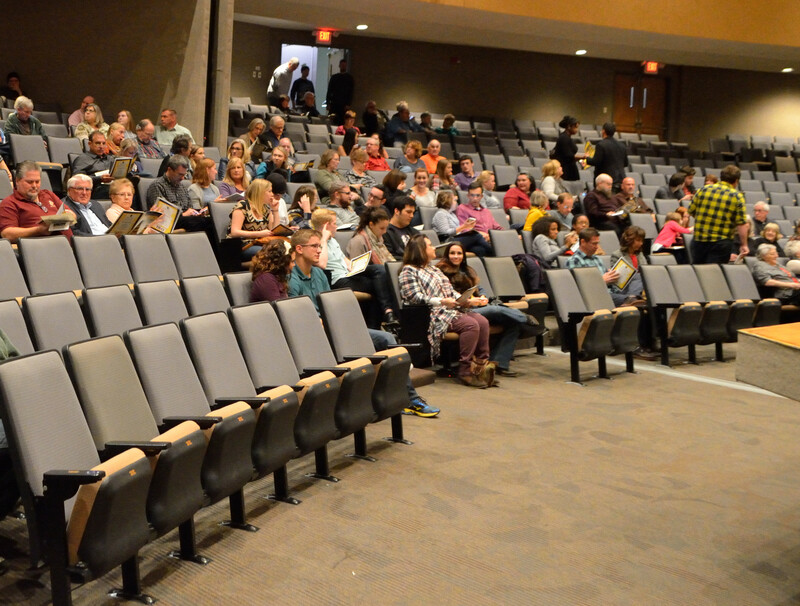 Noteworthy pieces included Kaitlyn Hopkins’s rendition of “Billie Jean” with Maison Barnett on guitar, “Just a Kiss” sung by Jordan Williamson and Will Ervin with Kaitlyn Hopkins on piano and “Sweet Dreams” — which many members of the ensemble expressed was one of their favorites. Greyscale members are not only singers but all around entertainers. Throughout the night, the audience was either in awe of Maison Barnett’s beat boxing talents, amazed by the skill several members displayed on musical instruments or laughing at the group’s physical comedy sprinkled throughout the show. Meticulously choreographed movements around the stage also kept the performance interesting and as much fun to watch as it was to listen to. 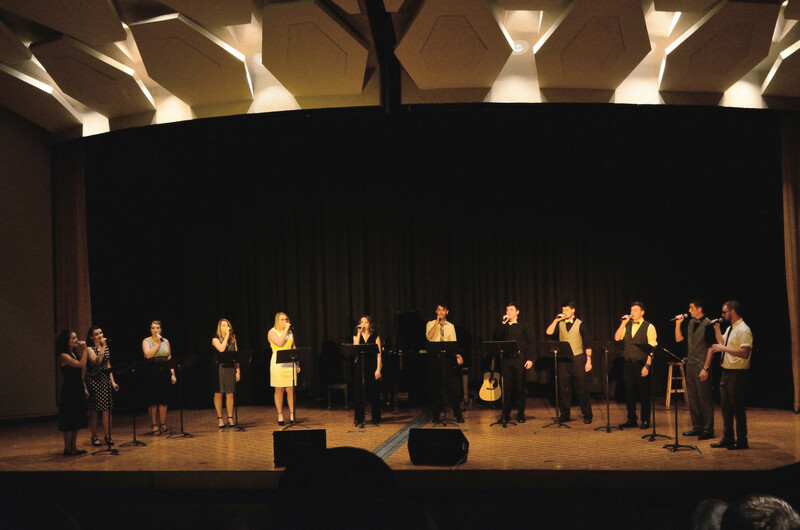 Having been around for four years, Greyscale has become famous on the ETSU campus, and it is clear all the members of the ensemble love performing together as much as fans love seeing them perform. “We work so hard and spend so much time together that we become a sort of family and that’s been a really special experience,” said soprano Jessilyn Stanley. “There’s definitely a lot of work to put in, but it’s worth it once you do a concert and see the outcome,” said mezzo Adrienne Hutton. For the grand finale of “Grey Renaissance,” Greyscale sung their signature song, “Dynamite” by Taio Cruz, inviting any alumni Greyscale members in the audience to join them and concluded with ensemble members descending the stage and urging the audience to sing and dance along, which they gladly did. 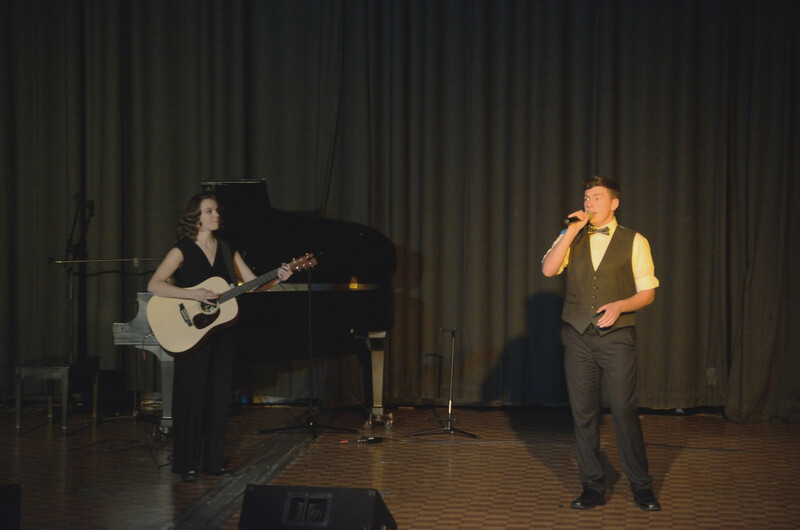 “My favorite part above all would be actually standing beside my fellow Greyscale members and being a part of something so incredible, whether it be at Acoustic Coffee House, the Culp Auditorium, or at any of the other various locations,” said tenor Chase Partin. Previous post Who else is on the ballot?